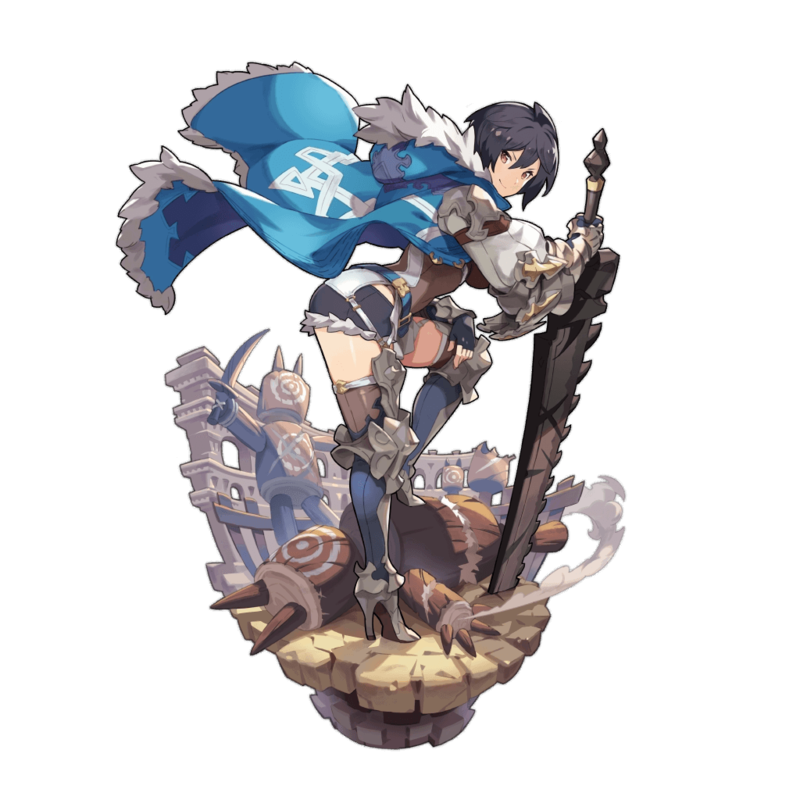 Celliera’s high speed and Strength paired with a fast yet wide-range weapon type make her a pretty good attacker. 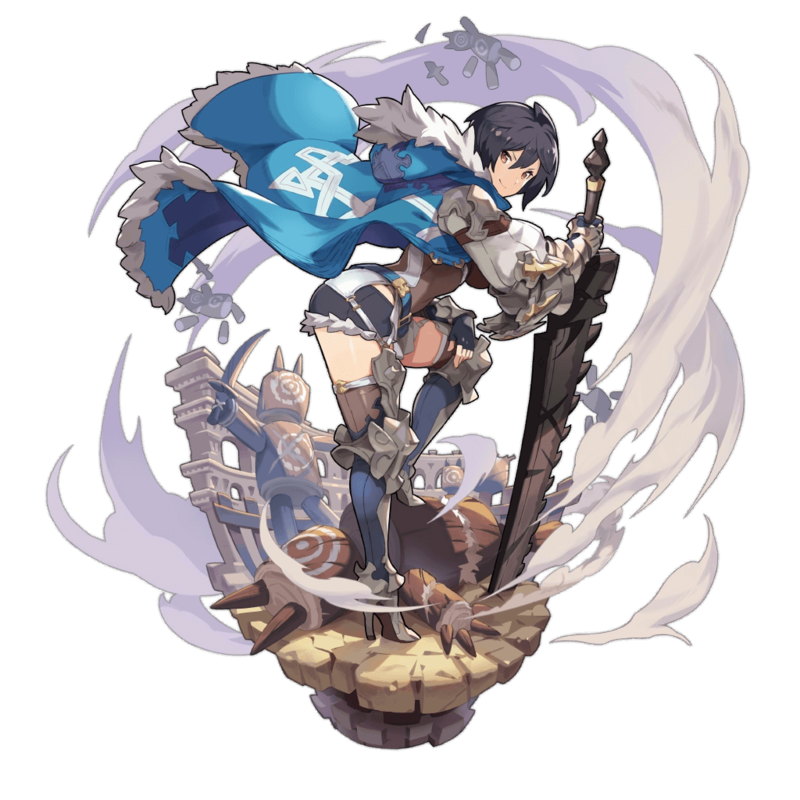 Guaranteed freeze and broad Force Strikes help in both crowded and single-target combat alike, while her Strength Co-Ability benefits everyone on the team. Aside from Phraeganoth, Thaumian’s Bane is only useful against Slimes, who are relatively weak enemies. This amounts to a wasted first passive slot. Having Freeze built in to Ardent Stream would have been preferable to enhancing it with a separate buff Skill. A woman who trains nobles in the way of the blade. Though thought of as a kind older sister, her ferocity is unleashed once lessons begin. But that's just another side of her sisterly love, as she desires her students to become strong. Deals water damage to enemies directly ahead, and inflicts freeze. Increases the user's strength by 20%, and causes the "Ardent Stream" skill to inflict freeze for 10 seconds. Increases the user's strength by 25%, and causes the "Ardent Stream" skill to inflict freeze for 10 seconds. Increases damage to thaumians by 20%. Increases damage to thaumians by 25%. Reduces susceptibility to burning by 25%. Reduces susceptibility to burning by 50%. Increases strength by 8% when HP is 70% or above. Increases strength by 3%. Benefits your whole team. Increases strength by 4%. Benefits your whole team. Increases strength by 5%. Benefits your whole team. Increases strength by 6%. Benefits your whole team. Increases strength by 7%. Benefits your whole team.